Like you, I’ve been looking for resources to help my students overcome the “summer slide.” Many of you know the research that says on average, students’ achievement scores can decline as much as one month’s worth of school-year learning. Our low income students seem to experience additional loss, and often, the loss is larger at higher grade levels. Our voracious readers enjoy reading as a year-round hobby, but we do have students who fall through the cracks. Here are several things we can try. Reading Resource Specialist Joan Moser suggests working with classroom teachers to have students set goals for summer reading. She advises that students write a letter to themselves listing specific books they are looking forward to, set a goal of the number of books or authors they want to read, and even list specific reading strategies they want to be certain to focus on. 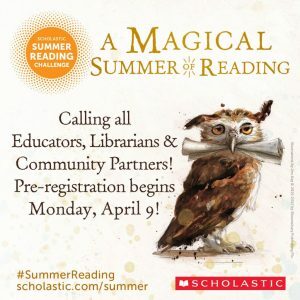 Students needing help setting a summer reading goal could turn to Scholastic, which hosts a Summer Reading Challenge. This summer’s theme is “A Magical Summer of Reading,” and students can log their reading minutes online to earn digital prizes. My book club students love fanfiction. Their enthusiasm is contagious, and I’ve over heard many a teen sharing their favorite sites. Fanfiction, also known as Fanfic, is almost always free and is inspired by books, films, TV shows, music, and even celebrities. Often, it is created by our very own students who are fans of an original work and who feel inspired to continue the story. It can be read online on a wide variety of websites. One of the biggest sites is Fanfiction.net, but there are loads more like Underlined, Archive Your Own, and even Goodreads, which has a fanfiction component on its website. Here is a recent post from Ebook Friendly (a Pinterest-like site for ebooks) presenting 15 of the most popular fanfiction websites. These sites have the added bonus of encouraging students to write as well as read over the summer. Like many of your states, my home state of Colorado supports a summer learning program with a statewide theme like “Libraries Rock.” Plug into your home state for more links and resources. Teaming with your local public library is essential too. My public library partners are more than willing to come to my school, talk to the students, and hand out materials. We’ve even had them come to school in mid-May with the goal of signing students up for library cards. 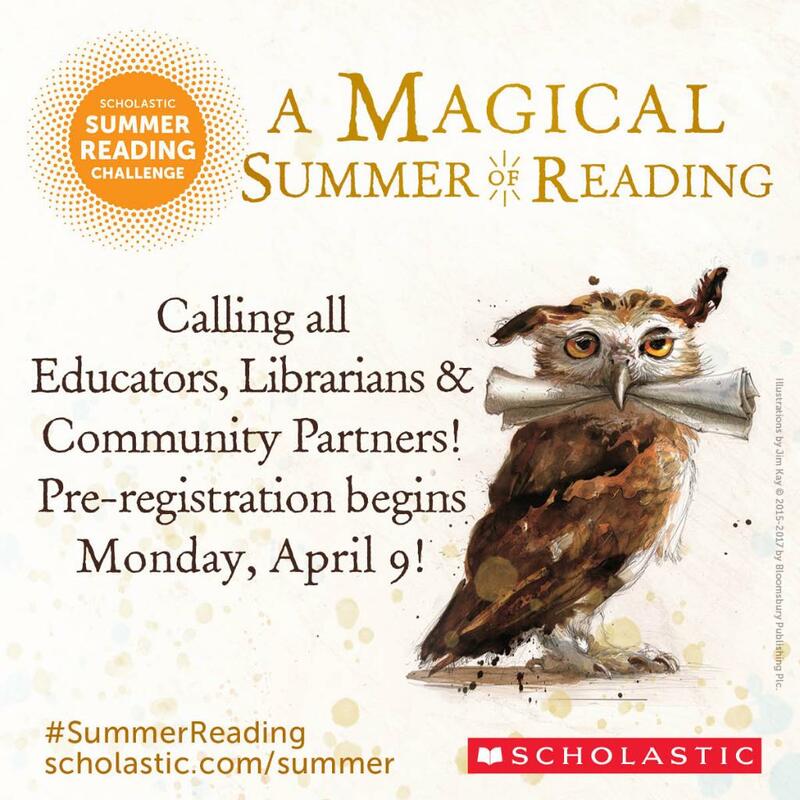 This is the perfect opportunity for them to tout their terrific summer reading program and demonstrate their fantastic digital resources, including ebooks, audiobooks, and digital magazines. My current favorite is Hoopla, an app I access with my local library card, which gives me access not only to ebooks and audiobooks, but also movies, comics, television shows, and music. I recently checked out the soundtrack to the Hamilton musical to listen to on my daily commute. Lastly, and my summer favorite, is AudioBookSync.com, a unique pairing of two free, downloadable audiobooks every week from April until August. I’ve already listened to one of the first offerings, A Study in Charlotte by Brittany Cavallaro, which tells the tale of two modern-day teenagers, one the descendant of Sherlock Holmes and the other of John Watson. Read more about this amazing free service on Joyce Valenza’s “NeverEnding Search” blog. 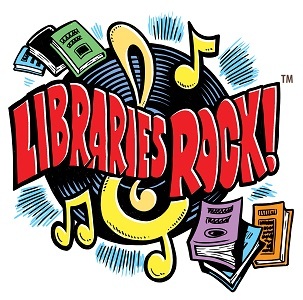 Ultimately, we know that the best summer learning can happen when we are connecting our students to great titles and resources. In the rapidly disappearing days of this school year, try creating a website with links to all these fabulous resources and your personal favorites. Then print out little QR Code links to your site with the words “Are You Bored Yet?” Hand these out during the last weeks of school so kids will have a clear path to fabulous resources over the summer when your library is closed. Once our kids are reading and devouring literature, that summer slide will disappear!